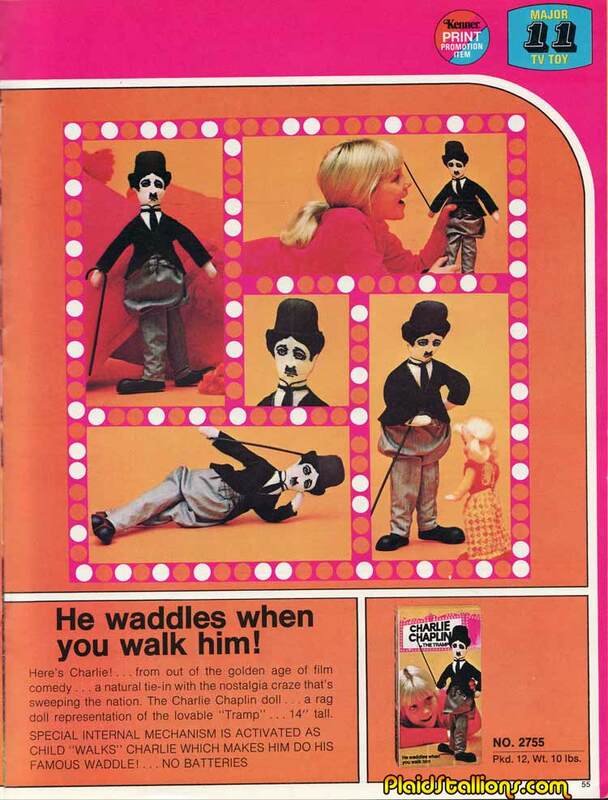 I found this image in an early 70s Kenner catalog, at one point they were trying to market Charlie Chaplin to kids. I was aware of silent movies as a kid (mostly Laurel and Hardy) but this seems a bit of a reach to me, I guess toy buyers felt that way too because I can't find any evidence of Kenner releasing Charlie to the masses (if you've got one let me know). Honestly, i'd be surprised if this got made. A couple of years later, Mego licensed the Hal Roach "Our Gang" shorts and made a series of action figures. It didn't take off either, which is strange considering i watched those after school every day for years..
Ben Cooper put out a Charlie Chaplin costume and, for some strange reason, I got it for Halloween. I don't know why; I didn't even like Chaplin. I wore it to a Halloween party at school and a bunch of older boys started picking on me before I even got through the front door. I was so humiliated, I just ran home. I think that was the last Halloween costume I ever had. I recently purchased a DVD of some of his films. It reminded me a cartoon from the late 70s called Baggy Pants. It was a cat that dressed and moved like Chaplin. He was usually chased by a pig that looked like Eric Campbell. There was no dialogue in these cartoons. Maybe there was a Chaplin boom. 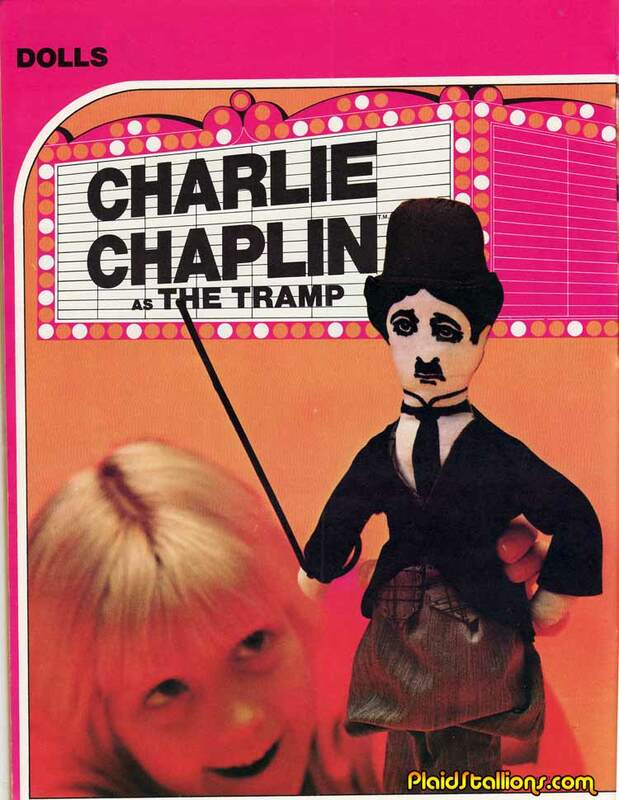 I am no fan of Charlie Chaplin in any way but back in those days I didn't even know who he was and I can assure you that no one else under ten years old in my area did either. 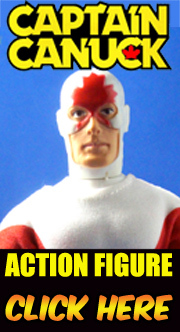 At least the "Our Gang" action figures from Mego that came out around this time were perfectly appropriate since it was being shown in syndication in the afternoons all over back then. I did not have these but my cousin absolutely did. I remember it clearly, the strange soft 'dolly' aspect of it.